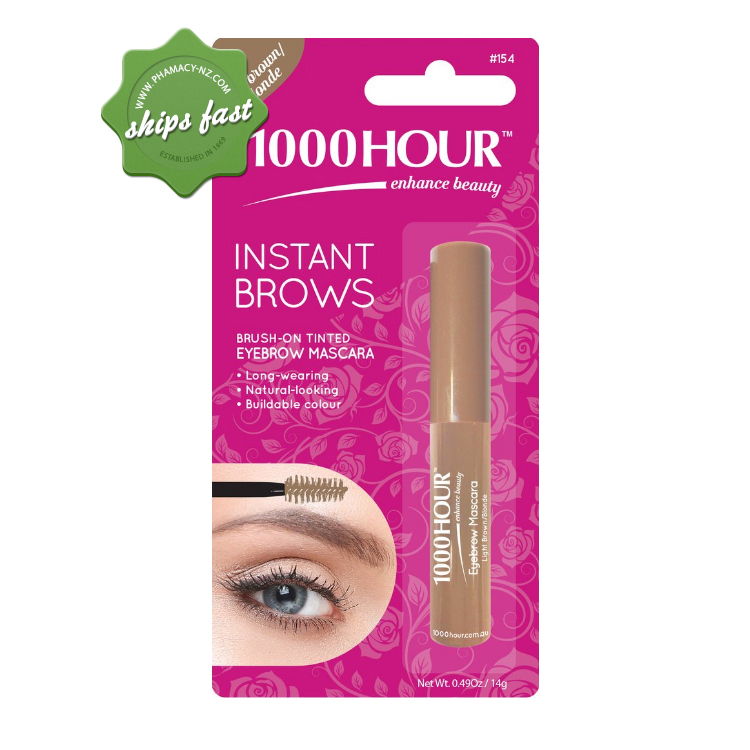 1000 Hour Instant Brows Mascara is a natural looking buildable colours that adds depth to eyebrows and in a light gel base that tames and sets the perfect shape. Tinted your eyelashes and eyebrows at home with this Blue Black 1000 Hour Eyelash + Brow Dye Kit. With 12 applications in each box that last up to 6 weeks you can save hundreds on tinting and makeup over the next year. Beautifully set eyebrows frame the face and define the eyes. But not everyone is gifted with the beautifully set brows. 1000 Hour Instant Brows Mascara will set anyone's brows to picture perfection. This natural looking buildable colour will help boost the depth of your brows whilst its light gel base tames and sets your brows in the perfect shape.